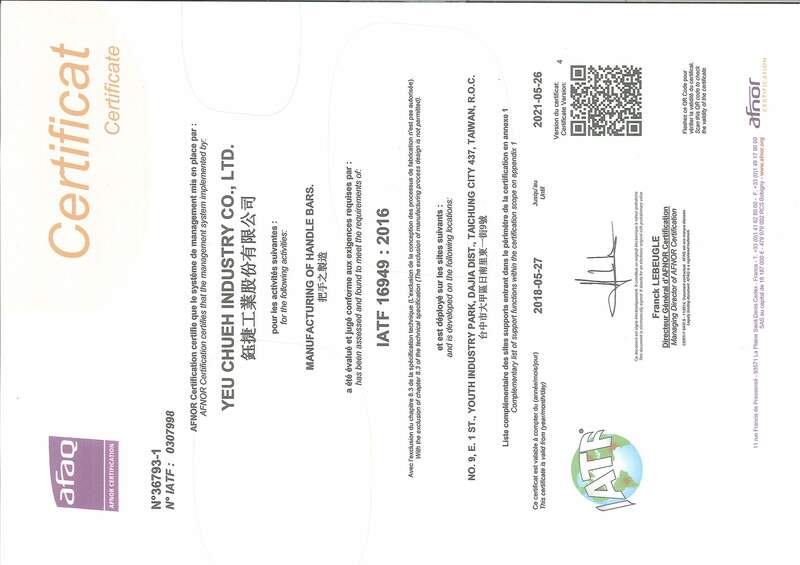 With professional background in aluminum and chromoly tubing, a group of engineers founded Yeu Chueh Industry Co., LTD which supplied chromium and aluminum tubing to bicycle frame makers. A series of aluminum handlebars were successfully designed and produced. Registration of the brand name PREMETEC (PMT) was granted. PREMETEC continues to grow despite strong competition from other handlebar and tubing makers, PREMETEC products were gradually approved and used by both international and domestic bike makers. 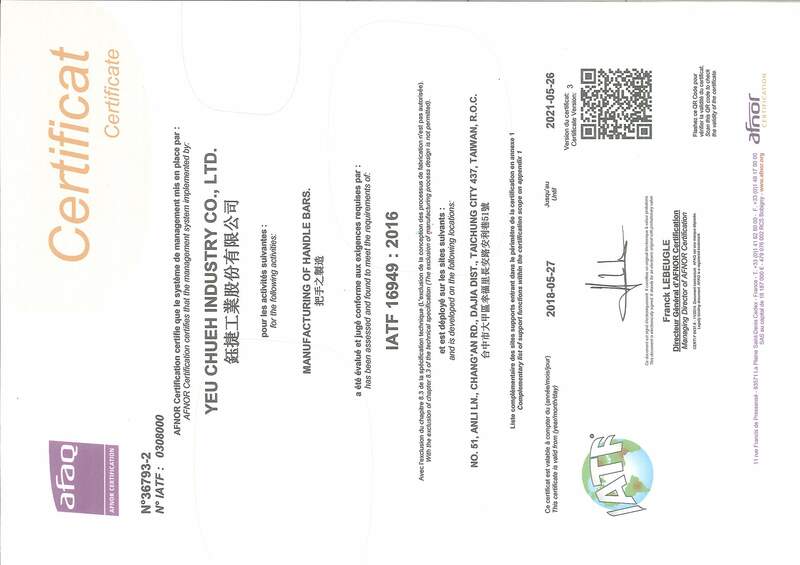 High strength alloy (2014 & 7075) was adopted by PREMETEC successfully. More products were launched and OE customers were attracted by PREMETEC reputation in manufacturing high strength products. Hydro Forming technology was successfully developed and applied to products such as frame tube, handlebar and seat-post. PREMETEC is the first company in Asia which applies Hydroforming technology into bicycle industry. Earned Taiwan Government “SBIR” fund support for Hydro-forming technology application study. 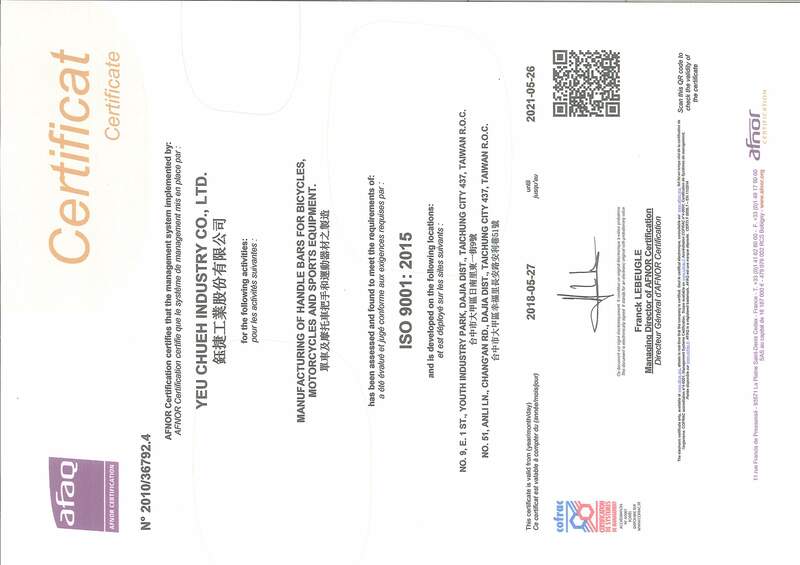 Motorcycle business was successfully established and starting moving into supplying the worldwide market. Started to supply motorcycle handlebars to OEM factories and suspension fork tubing to several famous suspension fork brands in bicycle field. Carbon Fiber capability were established. New factory building was completed and use for carbon and motorcycle parts manufacturing. NO.9, Ton 1 Street, Youth Industry Park, Dajia, Taichung 437, Taiwan, R.O.C. No.51, Anli Lane, Chang-an Rd., Dajia, Taichung 437, Taiwan, R.O.C.